Ask any adult who has been climbing indoors for a few years about injuries and they will start listing off the injuries they either had or currently have. They will use colorful phrasing like, dodgy shoulder, wonky elbow, tweaky fingers, clicky wrist and more besides. Some climbers will list off their injuries like a badge of honor, some will give specifics using medical terminology while others will not want to recount them. 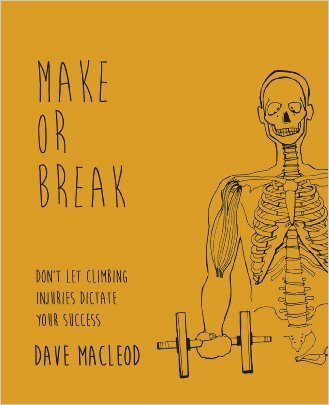 But the one thing that all indoor climbing adults have in common is that they have picked up various climbing related injuries, that for the most part are avoidable if climbing injury prevention is considered and addressed. Climbing as a past-time, sport or lifestyle places substantial stresses upon key areas of the body that are, without strengthening, not capable of dealing with the complex demands without consequence. This is especially true for adults that come to climbing, particularly indoor climbing, as they have not had the years of gradual strengthening of the key antagonist muscles, finger flexors and shoulder stabilizers. Adults starting to climb will also not have had years of perfecting technique, footwork precision, understanding the importance of recovery or how to engaging the scapula and why it is important. But possibly the most common and overlooked contributor of climbing related injuries among adults new to climbing is the very construct of climbing itself. The first time someone climbs an indoor route success is determined by reaching the top, it is this pattern that becomes ingrained over a short period of time with a successful climbing session determined upon the number of problems/routes topped out. And as with all patterns of behavior this one can be incredibly difficult to break as the climber progresses through the grades. Let us create a case study for clarity. An adult starts climbing indoors (bouldering or routes) and determines that the goal is to get to the top of the problem/route. This is the ‘golden phase’ of climbing when one is new to climbing, excited by the physical, mental and technical challenge. This is the phase where the climber makes rapid progress and develops more endurance and strength. Alas it is also the phase where all the contributors towards injury are sown unbeknownst to the climber. The climber loves visiting the climbing gym and starts attending twice p/week, with possibly a third session. A few weeks or months pass by and at the end of a session a shoulder/elbow/finger/forearm feels funny – not quite right. The climbers thinks that maybe it was a particular move or that they were over doing it and decides that rest for a few days may resolve the issue. The climbers rests and on return feels ok, but the shoulder/elbow/finger/forearm stills feels ‘weird.’ And now quite unexpectedly they are Alice looking down the rabbit hole wonder how deep does it go! The climbers has picked up an injury. It is at this stage that the climber hears the the following words for the first time; antagonist exercise, rotator cuff, finger pulley, scapula, tennis elbow, golfers elbow, bicep tear, repetitive injury syndrome..etc. And so a new phase of learning occurs but not so golden and exciting as the initial phase. This can take a few weeks, months or often years to understand and overcome. This new phase will test the climbers resolve, imagination, time and ego. But perhaps the most interesting and annoying thing about this phase is it was avoidable! Let us rewind to the first couple of weeks of climbing and try to unravel this seemingly destined pathway for most adults climbing indoors. Number 1: Getting to the top of a boulder or route is certainly gratifying, but how you arrive there is equally important. This comes back to footwork precision, technical movement and understanding of when rest and how to rest on a route. Now is the time to challenge the idea of what constitutes success in order to spend time practicing footwork and technique. This sounds simple but it is possibly one of the hardest parts of improving and staying uninjured as one needs to make time and have confidence to practice these essential skills. The climber also needs to recognize that rest is essential between problems/routes and recovery is necessary between visits to the climbing gym. Number 2: The climber needs to recognize that the ‘pulling’ muscles will develop when climbing, however the ‘pushing’ muscles will not. Take the upper arm for example; climbing and pull ups will increase the strength of the bicep yet the triceps will not increase in strength. These muscles need to work together to perform flexion and extension of your elbow joint and assist functional movement. In a nut shell this means that an imbalance is created as the climber continues to strengthen the pull muscles while ignoring the push muscles, which will eventually either result directly in an injury or contribute to an injury. The resolution of this is to work the push muscles as hard as you work the pull muscles. Number 3: The Shoulder is a complex and potentially unstable joint. The adult climber will expect too much from the shoulder considering the physical demands placed upon it while climbing. This must be recognized early by the climber and exercises to strengthen the shoulder stabilizers should be engaged with post haste. Another contributor to shoulder injury is a weak scapula or a climber not using the scapula correctly while pulling through on a move or while taking a rest with a straight arm. A visual example of not engaging the scapula is the shoulder at the ear when pulling through on a move. Again, immediate understanding, attention and strengthening is required of the scapula to reduce the likelihood of injury. Number 4: The elbow is a site of common injuries among climbers for a variety of reasons. 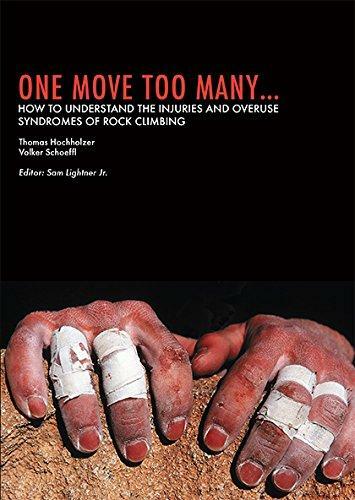 The most common reasons are a repetitive strain injury (overuse – doing too much), locking off in a strenuous position, poor technique or just climbing on the same type routes continually. 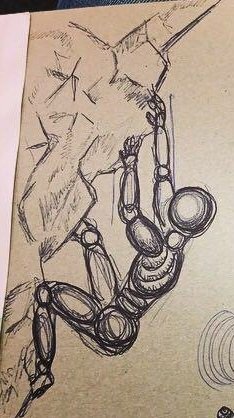 If the climbers has really considered and understood number one then they are not over-climbing, they have been practicing technique on all wall angles and they understand the value of resting/recovery/hypertrophy. Elbow injuries can also occur if the foot pops while in a strenuous position, but again this is less likely as the climber is not climbing while fatigued and is concentrating on footwork. A good cue for when it’s time to stop climbing is when your footwork is deteriorating. 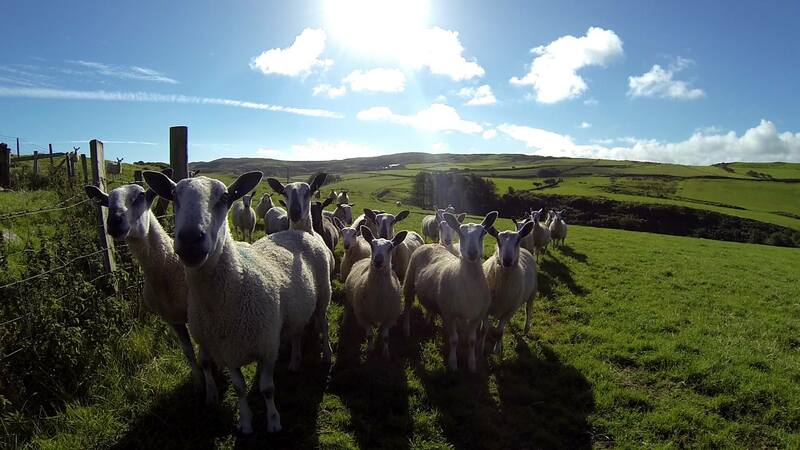 And finally: Warming Up, stretching out afterwards and stretching in general. Warming up is a tricky one as firstly most of us don‘t want to look like a tool. But raising the heart rate and doing a short set of dynamic climbing related movements, followed by a climbing specific warm up helps reduction of injury and enhances performance. It’s also worth focusing on breathing while warming up as this really focuses one’s attention. A short series of static stretches to the upper body at the end of a session will help with recover. 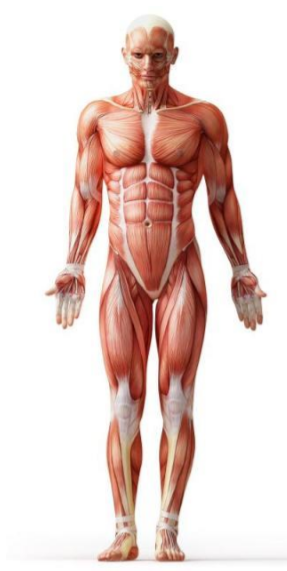 It is also worth considering the areas of tightness that develop in a climbers body and regularly stretch them out – trapezius, bicep, triceps, pecs (super tight in most climbers), lats..etc. The adult climber may also consider hip flexibility and general lower body movement. All of these aspects combined will help to reduce the likelihood of injury. I have purposely not given any advice for injury treatment as I am not an expert nor certified to do so. I would however strongly recommend that anyone wanting to learn more about injury prevention reads these two books. I would also recommend a visit to the MYtherapy team of Veronica and Rob Hunter if you have a twinge or want to learn more, they regularly carry out session in Gravity Climbing Centre. Karen Doyle is also excellent and has a practice called The Maple Clinic.